First a quick note regarding this photo. I came across this on my hard-drive today; I had forgotten about it. 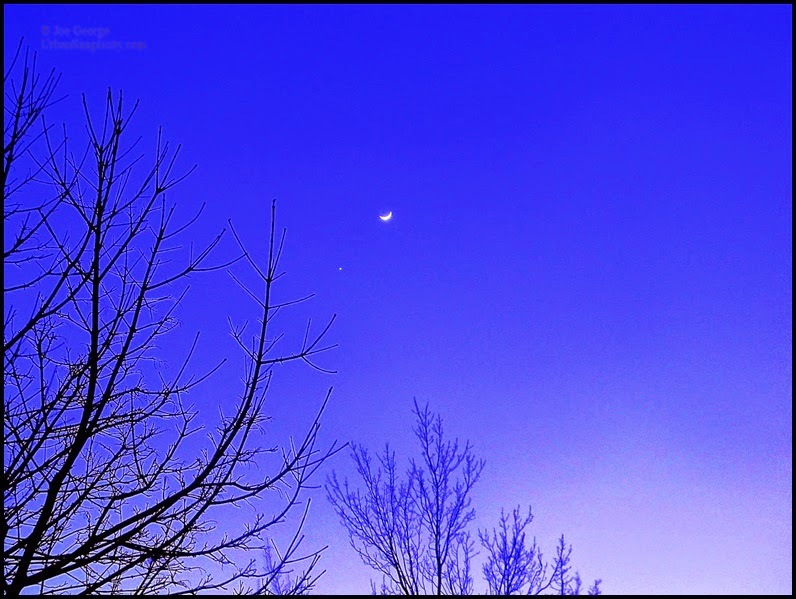 It's a photo I had taken from my front porch last winter of what I thought was the moon and a star. A reader emailed to tell me the star was in fact the planet Venus. You can see those posts here and here. Anyhow, when I stumbled upon the photo today I thought it was perfect for these quotes. To read more in the Five Quotes series, click here. “Darkness cannot drive out darkness: only light can do that. Hate cannot drive out hate: only love can do that."